It’s that time of the month again. We’re here to tell you about one of our favourite properties we have on our books at rentinc. This month, it’s a 5-bed flat on the ever popular Kelso Road, right on the doorstep of the university. How’s that for location, location, location? Kelso Road, right in the heart of university life, is a great location for any student wanting to roll out of bed in the morning and straight into university lectures. You’re only a short walk away from the University of Leeds and Woodhouse Moor is on your doorstep. Transport links are also nearby. A 2 minute walk up the road and you can get a bus into town or towards Headingley. Both places are easily walkable on foot too if you don’t want to spend your precious cash on buses. 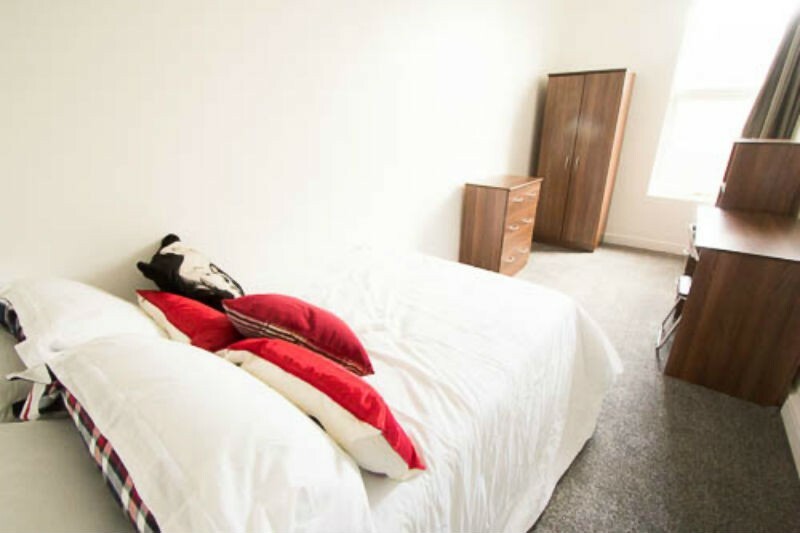 This property, a first floor flat on Kelso Road, has 5 evenly sized, large double bedrooms which are perfect for either students or professionals. There’s also a spacious living room and a fully fitted kitchen which is big enough for everyone to store their belongings and food in. The kitchen also features a washing machine and dishwasher. The luxuriously tiled bathroom features a power shower and a corner bath – perfect for a soak after a long day at university – and there is a garden for those days when you want to chill in the sun. To make the building more secure for you, there is a phone entry system and there’s double glazing too to keep the flat quiet and warm. This property is all inclusive and costs £106.99 per person per week. All-inclusive means you don’t have to pay extra for your electric, gas, wifi, water rates, contents insurance or gardening. You won’t have to pay admin fees either with this property meaning you’ve got more money to make your bedroom your own. That’s our rentinc top pick for May! If you like the look of this property, come into the rentinc offices today!